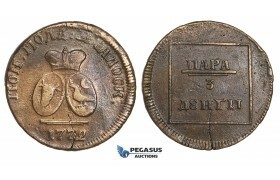 AA309, Moldavia & Wallachia, Para/3 Dengi 1772, Copper (from Turkish canons) XF, Rare! 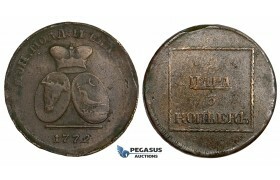 AA309, Moldavia & Wallachia, Para/3 Dengi 1772, Copper (from Turkish canons) XF, Rare! 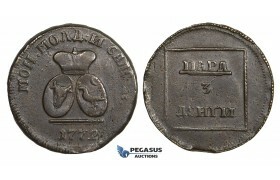 ..
AA502, Moldavia & Wallachia (Russia, Romania) Para/3 Dengi 1772, Copper, VF, Rare ..
AA503, Moldavia & Wallachia (Russia, Romania) 2 Para/3 Kopeks 1774, Copper, XF, Rare ..
AC423, Russia, Moldavia & Wallachia, 2 Para/3 Kopeks 1772, Copper (from Turkish canons) NGC AU Det. 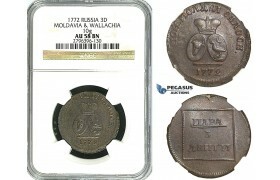 AC423, Russia, Moldavia & Wallachia, 2 Para/3 Kopeks 1772, Copper (from Turkish canons) NGC AU D..
AC502, Russia, Moldavia & Wallachia, 2 Para/3 Kopeks 1773, Copper (from Turkish canons) AU (weak..
J11, Moldavia & Wallachia, 2 Para/3 Kopeks 1773, Copper (from Turkish canons) Nice & Rare! 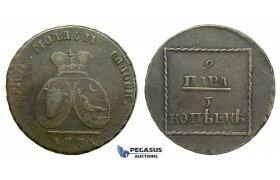 Moldavia & Wallachia, 2 Para/3 Kopeks 1773, Copper (from Turkish canons) Nice & Rare! 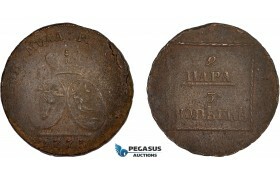 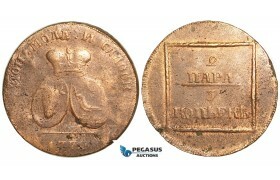 ..
J55, Moldavia & Wallachia, Para/3 Dengi 1772, Copper (from Turkish canons) Nice & Rare! 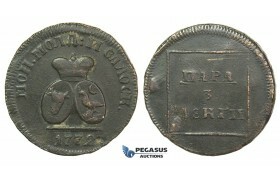 Bitk..
V66, Moldavia & Wallachia, 2 Para/3 Kopeks 1772, Copper (from Turkish canons) Weak Struck! 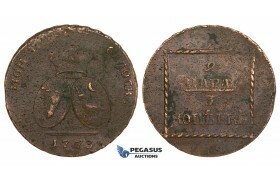 V66, Moldavia & Wallachia, 2 Para/3 Kopeks 1772, Copper (from Turkish canons) Weak Struck! 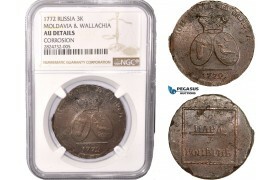 ..
Y89, Russia, Moldavia & Wallachia, Para/3 Dengi 1772, Copper (from Turkish canons) Bitkin 1255, NGC AU58BN, Rare grade! 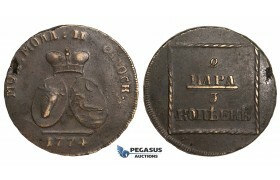 Y89, Russia, Moldavia & Wallachia, Para/3 Dengi 1772, Copper (from Turkish canons) Bitkin 1255, ..
ZM751, Moldavia & Wallachia, 2 Para/3 Kopeks 1772, Copper (from Turkish canons) Brown VF ..
ZM752, Moldavia & Wallachia, 2 Para/3 Kopeks 1773, Copper (from Turkish canons) Cleaned VF ..